Picture the Past image - Worksop Guardian, Sissons & Son Ltd.
Lance Corpl. Sprowell enlisted in June, 1916, and had been in France since November of that year. Prior to enlisting he worked at Osberton Gardens. 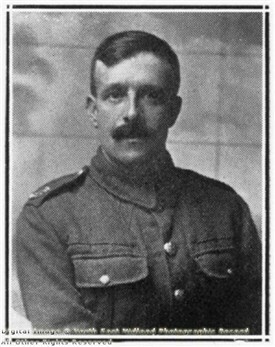 His brother Alexander Sprowell was killed in April last, and another brother is a discharged soldier, having been wounded in the war. Mrs. Sprowell’s brother, Pte. Frank Marshall, Nott’s and Derbys, is in France. The deceased was very well known and respected in the town, and much sympathy is expressed with his wife and relatives. This page was added by Inspire Librarian on 11/12/2014.